Thai political fugitives in Laos will be kept under strict surveillance to prevent them from engaging in lese majeste activities, the Laos government has assured Thailand. The Government is set to enhance the quality of tourism services in a bid to attract more foreign tourists, especially from China, as it becomes the largest tourism market in the region, and globally. Construction of the 5th Thai-Lao friendship bridge linking the northeastern province of Bueng Kan with Laos’ western township of Pakxan in Bolikhamsai province is likely to commence this year-end with the Ministry of Transport expecting to seek budget from the government in October. Chinese and Singaporean investors are working with farmers in Laos to grow chemical-free rice for export under a joint development project. The Lao and Thai governments have opened a centre in Thailand to help Lao workers there holding purple cards (work permits) to ensure they are fully legal and are registered with the authorities. 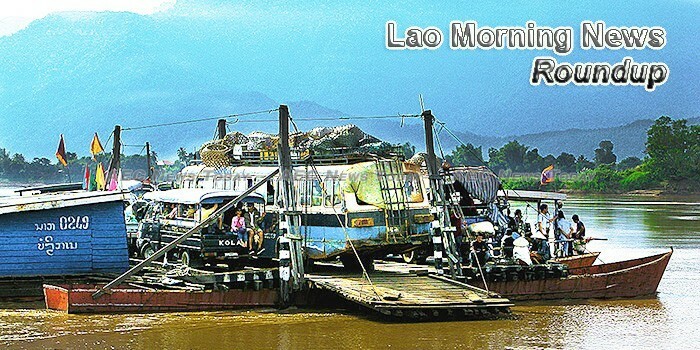 Laos has not been reluctant to let the world know about its ambition to become the largest energy exporter in the region, or the “Battery of Asia.” As of part of efforts to realize its goal, the landlocked communist country has pushing for building more hydropower plants over the years, in spite of the current and projected impacts on the future of the Mekong River, one of the world’s longest, largest, and resource-rich rivers. Construction of a new secondary school has kicked off in Bounneua district of Phongsaly province with support from a Vietnamese government grant to boost human resource development in Laos. Authorities in charge have warned members of the public not to pay money for promised scholarships to study in foreign countries, saying it is a trick. More work and responsibilities have been delegated to three new cities’ administrations giving the local authorities a greater role in the development of their urban centres.